The Red Penny Papers is one of the places I constantly visit with pleasure for new short fiction and since this wonderful online magazine enters its third year of life I wish it a Happy Anniversary! I hope that The Red Penny Papers would only grow from now on and to see it published for many more years. 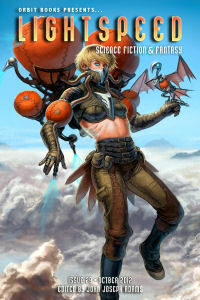 Night Shade Books is delighted to announce that from October 8, 2012, all new installments of the award-winning Eclipse series will be available to readers online and free of charge at Nightshadebooks.com. Following the lead and success of other short fiction publications, Eclipse will continue its fifth and subsequent volumes as a primarily electronic publication. The first stories are already released, “The Contrary Gardener” by Christopher Rowe on 8th October and “One Little Room an Everywhere” by K.J. Parker on 22nd October. I love K.J. Parker’s works and I am huge admirer of this very talented writer. “One Little Room an Everywhere” is a wonderful story and yet another perfect example of the skill possessed by this wonderful author. And together with “A Small Price to Pay for Birdsong” and “Let Maps to Others”, available also for free on Subterranean Online, three of the best short stories I read this year. What Turns People into Lovers of Horror? What is it turns perfectly ordinary people into those who hug the dark? Let me begin at the beginning. Puggy—who was me, aged 4—hated Sunday, hated church, hated being readied and tightly dressed. This was Sunday. I was scrubbed and suited in prickly tweed and razor sharp white collar and smelling of soap. I was in the bathroom with Nanna who muscled down my cowlick with spit and a glower. She raked the comb through my knots with a Sunday litany: “good-ness gra-cious, how do-you-let, your-hair get-so kno-tty, good-ness sake Pug-gy don’t be so shush-lich.” ‘Shushlich’ being her Pennsylvania Dutch word for fidgety. Mother and father were late and lazy in their room getting ready slowly. Downstairs, Pop-pop listened to the war news. Gabriel Heater reporting. I heard it, distant. All as usual. Onto the stairs. Down, one. Two. Three. Nanna stopped. Mid-descent. Her hand squeezed mine. Then again. And again. Hard. Loose. Hard-hard. Loose. As though sending a message in the dark. Then, of all things, she sat. On the steps. Suddenly. Halfway from top to bottom she sat and shouted a wavy moaning Halloween call. “Oh. Ohh. Ohh, Puggy.” I can’t hear. Can’t see. 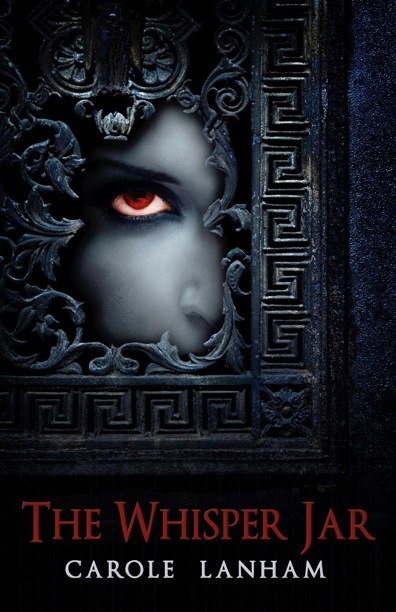 Her head began banging against the wall. Her hand squeezing, sending, sending. Saying something. Well, this was just too much. Nanna? She was a hard one, a stern eye for things wrong, not clean, not orderly, not one to smile or be silly, Nanna. So naturally, I thought this was the finest, funniest moment of my life, and so began to laugh. Laugh loudly. Nanna is funny. She is finally funny. I pulled away. I ran down the steps to tell Pop-pop. Who by now had heard the calls and the thumping of Nanna’s head against the wall. Mother, whose mother this was, and my father came from their room. Pop-pop shoved me aside and up the stairs he went. And when she died and everything became quiet and solemn in the house and everywhere we went, and when she was buried Pop-pop looked at me and said, “Nanna was dying and you? You were laughing.” He said it in a way that was different from any way he had ever before spoken. And, of course I knew that it had been my fault. Nanna’s death. As I look at what I’ve written, I realize it might seem as though I were saying, “having killed my Nanna when I was 4 turned me into a reader, writer of horror and things dark.” No. There are those who came far closer to death in their small years. Something did seep through the skin, through the Sunday tweed and starch and turned me. The sound of Nanna’s head. The singing moan of my childhood name. “Ohhh, Puggy!” The misunderstanding, Nanna was funny, finally funny as life slipped away. My grandfather’s face as he looked at me. “Nanna was dying and you were laughing.” Something in all of that has remained and is still part of me. I hope you’re the sort that will come and visit in the Nook, every week as Tales to Terrify tells you tales from the dark side of the universe. I hope you’ll take a look at “Tales to Terrify, Volume 1” when it hits the market this Halloween. LAWRENCE SANTORO: Award-winning writer and narrator, Lawrence Santoro began writing dark tales at age five. In 2001 his novella “God Screamed and Screamed, Then I Ate Him” was nominated for a Bram Stoker Award. In 2002, his adaptation and audio production of Gene Wolfe’s “The Tree Is My Hat,” was also Stoker nominated. In 2003, his Stoker-recommended “Catching” received Honorable Mention in Ellen Datlow’s 17th Annual “Year’s Best Fantasy and Horror” anthology. 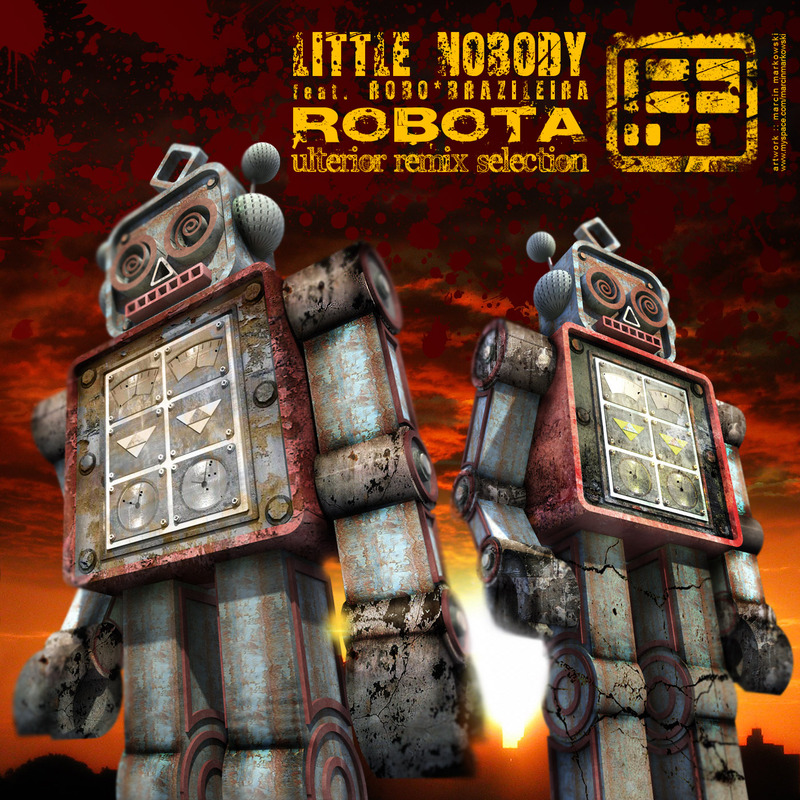 In 2004, “So Many Tiny Mouths” was cited in the anthology’s 18th edition. In the 20th, his novella, “At Angels Sixteen,” from the anthology A DARK AND DEADLY VALLEY, was similarly honored. Larry’s first novel, “Just North of Nowhere,” was published in 2007. A collection of his short fiction, DRINK FOR THE THIRST TO COME, was published in 2011. He lives in Chicago and is working on two new novels, “Griffon and the Sky Warriors,” and “A Mississippi Traveler, or Sam Clemens Tries the Water”. Stop by Larry’s blog, At Home in Bluffton (http://blufftoninthedriftless.blogspot.com/), and his audio website, Santoro Reads (http://www.santororeads.com/Home.html), you can friend him on Facebook (http://www.facebook.com/lawrence.santoro). TALES TO TERRIFY, VOLUME 1: This Halloween, October 31, 2012, fans of the chilly dark and terrifying will have yet another reason to cower beneath the sheets as the stories that are voiced weekly on the internet’s scariest horror spinning site rise up to haunt the pages of “Tales to Terrify, Volume One.” “Volume One” is the Parsec-nominated, horror podcast, “Tales to Terrify” in book form. Does the dark make you sweat a tad more than normal? Do you ever wonder if that stranger on the street might be carrying a knife, all the better to carve you with? Does the thought of the dead rising raise goosebumps on you? 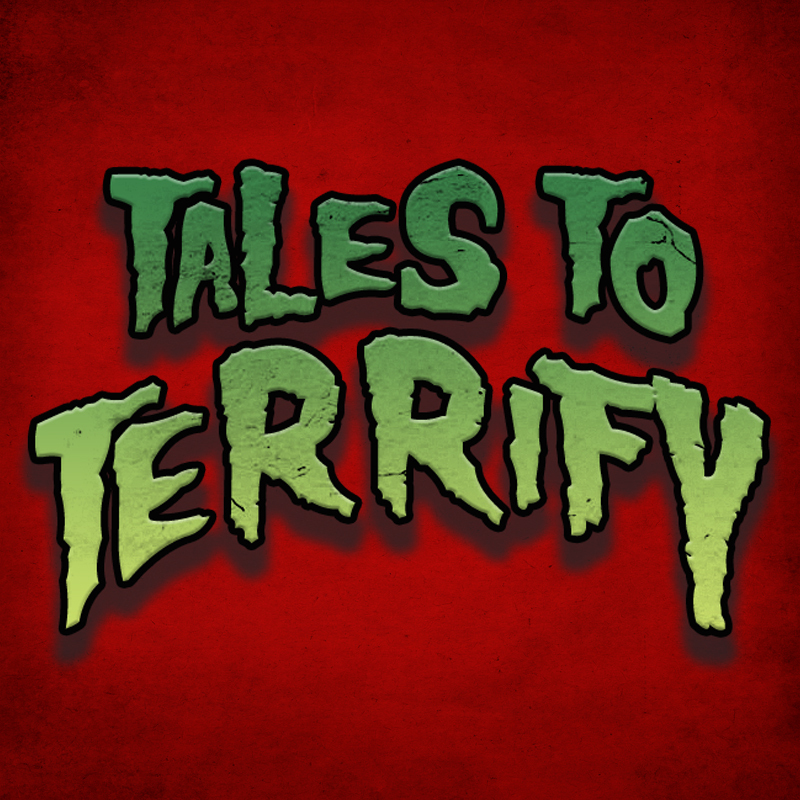 If so, “Tales to Terrify, Volume One” will feed those fears and suggest there’s more to come. Forget the Ouija board, “Tales to Terrify, Volume One” is a direct link to the world beyond. Do you have what it takes to be scared on the scariest day of the year? 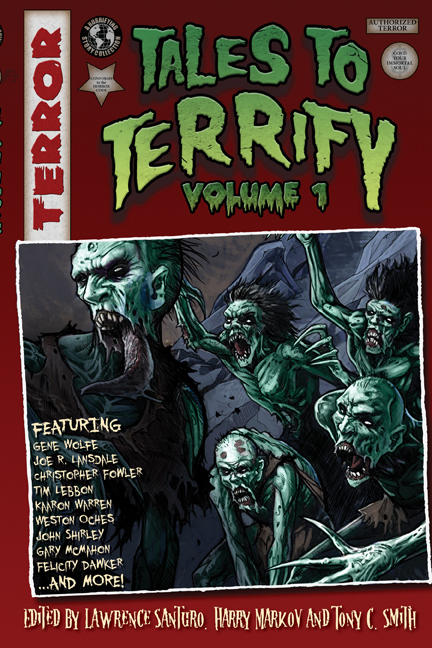 You can buy your copy at the Tales to Terrify podcast website (http://talestoterrify.com/) and our own website dedicated to the book “Tales to Terrify, Volume One” (http://talestoterrify.com/volume-1/). The volume will go on sale on October 31st. GAME: You can be one of the lucky 10 people to win a PDF copy of our anthology. 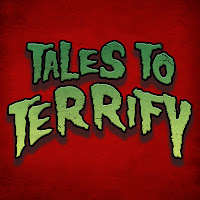 All you have to do is find us on Facebook (http://www.facebook.com/TalesToTerrify?ref=hl) or Twitter (@TalestoTerrify) and answer the following question: What scares you most? The most creative responses will receive the coveted PDF copy and will be featured in our second November show. Ștefan Ghidoveanu is a speculative fiction writer, translator, critic, essayist and editor, born in 1955 at Bârlad. He made his debut in 1982 with a story entitled “A collection of art” and won several local awards throughout his career. 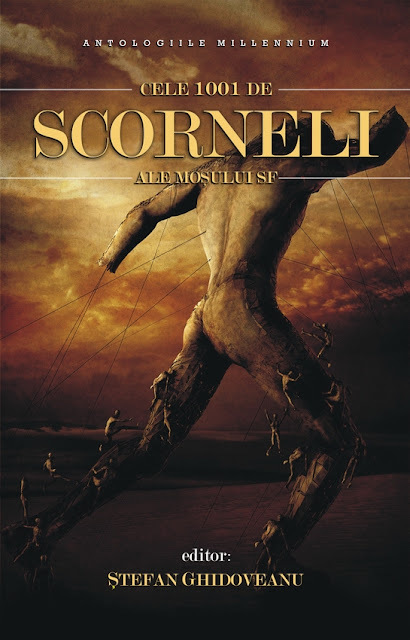 In December 2010 started his personal blog, Moshul SF (The SF Crone), with one of its features a series of posts, “Cele 1001 de scorneli ale moshului S.F.” (The S.F. Crone’s 1001 inventions), where Ștefan Ghidoveanu publishes original short stories of speculative fiction written by some of the most important names of the Romanian SF&F scene. Starting from this initiative, Ștefan Ghidoveanu decided to edit an anthology, “The S.F. 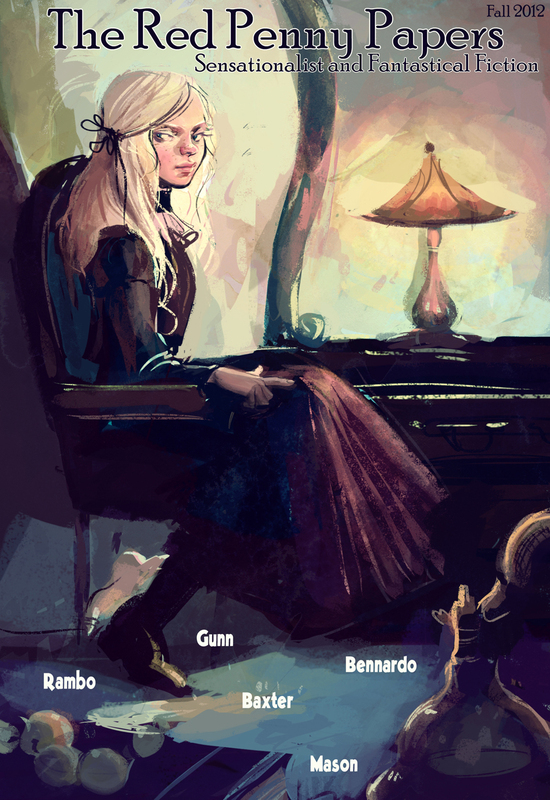 Crone’s 1001 inventions”, with some of the stories published on his blog, but mainly with original fiction from the authors present on the respective posts, such as Ioana Vișan, Ștefana Czeller, Ana-Veronica Mircea, Narcisa Stoica, Marian Coman, Michael Haulică, Florin Pîtea, Liviu Radu and George Lazăr, to name a few. The anthology will be published by Millennium Books and as this publishing house used the Romanian readers already, “The S.F. Crone’s 1001 inventions” has an excellent cover. The artwork is made by the Australian artist, Christopher Haines, who uses a mix of 3d, photomanipulation and painting in his art with wonderful results, as we can see in “Helpless”, the painting that illustrates the book cover of Ștefan Ghidoveanu’s anthology, “The S.F. Crone’s 1001 inventions”. I’ll get back with details about this new and very interesting collection of Romanian speculative fiction. 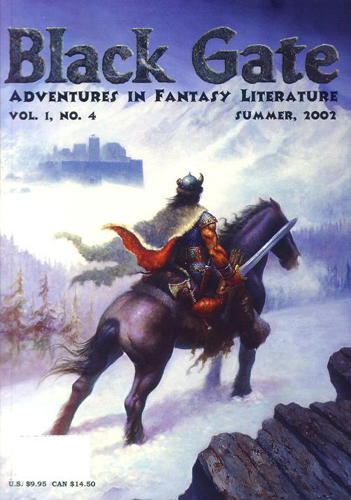 I love heroic fantasy. In a measured amount it is one of the genres that relaxes me the most and although in time it had fewer appearances in my readings I still enjoy such stories from time to time. I would never give up on them. One of the heroic fantasies I liked the most lately is Brian Ruckley’s short story, “Beyond the Reach of His Gods”, first published in Jason M. Waltz’s anthology, “Rage of the Behemoth”. The story has an interesting main character, Rhuan of the Grey Hall, found in a luxuriant jungle, a totally different and strange sight from his homeland, while he is on exile. And adventure they will find, only of another sort. “Beyond the Reach of His Gods” has the flavour of Brian Ruckley’s “Godless World” trilogy, but it is more straightforward and focused on action. That doesn’t mean it is not a good story, on the contrary. It is a heroic fantasy of the best sort. This month, Lightspeed Magazine published “Beyond the Reach of Hid Gods” too and you can buy it together with other 7 stories in electronic format or you can enjoy it for free on the magazine’s website (released on Tuesday, 16th October). Also on both electronic and free edition of the October issue of Lightspeed Magazine you can find a small interview with Brian Ruckley. 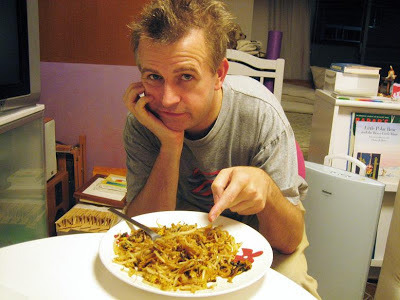 Andrez Bergen is an expatriate Australian journalist, musician, photographer, DJ, artist, filmmaker, graphic designer and writer, born in Melbourne and who currently lives in Tokyo, Japan. Andrez has written for the Yomiuri Shimbun newspaper in Japan, The Age newspaper, and VICE Magazine in Australia, American mags Anime Insider and Geek Monthly (ex-Cinefantastique), Impact and Mixmag in the UK, and various other publications, on movies, music, anime, culture, travel, food, etc. In 2011 Andrez Bergen published his debut novel, “Tobacco-Stained Mountain Goat”, an excellent post-apocalyptic noir story for which I’ll have a review soon, through Another Sky Press. 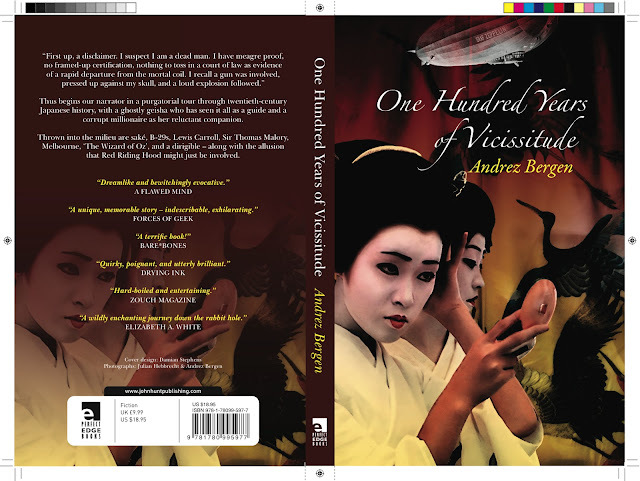 Today, his second novel, “One Hundred Years of Vicissitude”, is released by Perfect Edge Books and on this occasion it is my pleasure to have Andrez Bergen as my guest for a post. Let's cut to the chase here - cover art and packaging is extremely important to me. It not only dictates which books I manhandle in a shop, but which CDs. I know this may come across as shallow on my part, but visual aesthetics are vital since I've been working as a musician and running a record label (IF?) over the past 17 years - and the packaging (and how it related to the music within that) was something we pottered over and fine-tuned over this period. We felt that people who spent money on our music deserved to have something that looked as good as it sounded, images that were playful and pushed the boundaries as much as the sounds did. Don't get me wrong - the product itself still needs to be top quality, and there's nothing worse than a bad book, CD or vinyl LP with an alluring cover. But fun, thought-provoking window-dressing never goes astray. When I wrote my latest novel One Hundred Years of Vicissitude I had a specific cover concept in mind, and in fact this started brewing early on. Back in 2007, as I did the preliminary work on this story, I chanced across a photo of two geisha, taken by another expat living in Japan - Julian Hebbrecht - and straight away contacted him, licensed the image and got permissions from all involved. This is the original image. 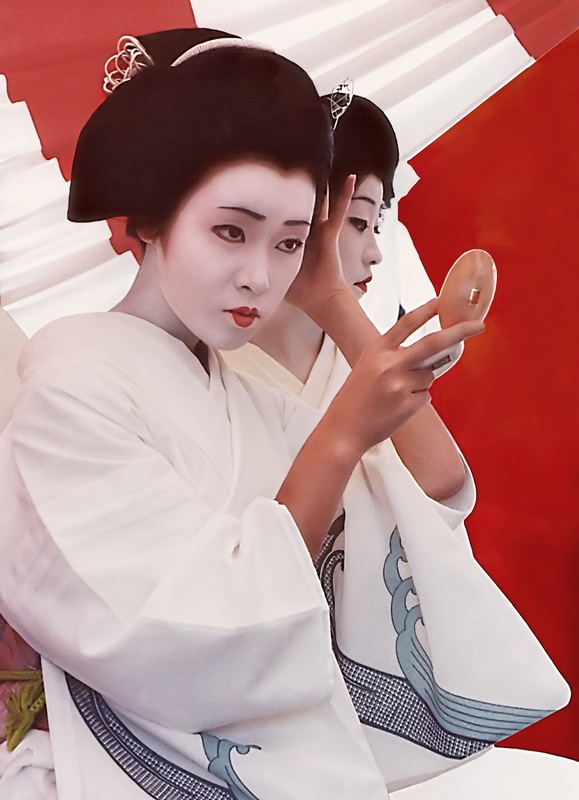 I was lucky in that the two geisha look similar, complimenting the tale's identical twins Kohana and Tomeko. In September last year I started writing the book in earnest, and at the same time, as the story developed, I nutted over what kind of additional imagery should shape the cover artwork. 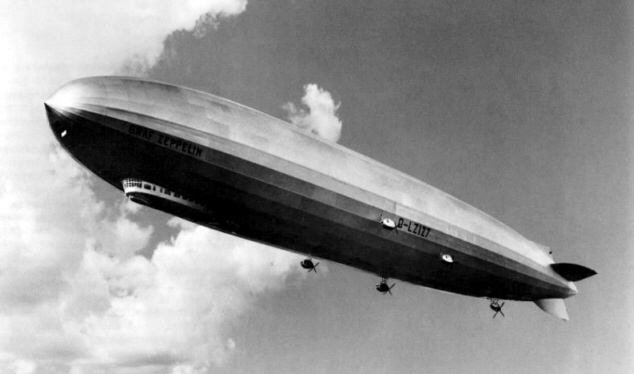 I've always had a soft spot for dirigibles (one of the reasons I first dug steampunk and Hayao Miyazaki), and since in the novel there is the first visit to Tokyo by the Graf Zeppelin in 1929, and it reappears in a kind of dream sequence, I decided there should be some kind of homage here. 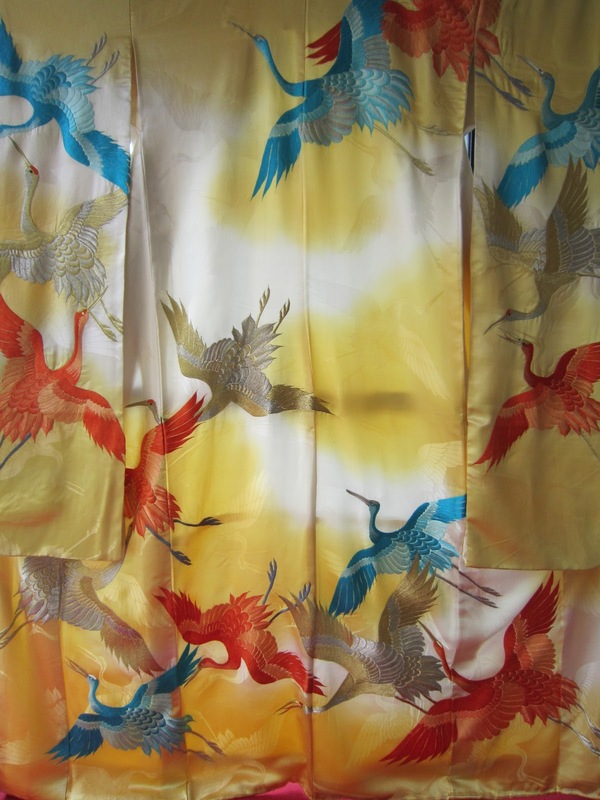 The kimono in the background of the cover art was an incredible piece of silk I discovered in Kyoto last year. I'd been treated to a trip there by my wonderful students in my English Through Movies class, and the hotel lobby hung this kimono. I fell in love, and I'm usually not one to have a penchant for inanimate garments. This is one of the photographs of that kimono. To bring these ideas together, earlier this year I contacted an old mate, Damian Stephens, back in Melbourne. Damian did a lot of design work with my label IF? and he's a great graphic designer in general. The way he composed and combined some disparate, admittedly vague ideas was an exercise in art. Finishing off the artwork was the official designer at publishers John Hunt, who simplified it a little and changed the colour tone from an autumnal red to brown. See the finished print-ready product below. We additionally had a B-29 bomber included in the back cover art, but somehow that fell by the wayside, I think in order to place the publisher tag. I love it - and I think the two covers very much capture the story sandwiched between. Let's hope it's not just another case of judging a book by it's cover and realizing it should sit in a frame on a wall... instead of being read! “The Duelist”, Jason E. Thummel’s fast-paced tale of action in a violent city in which a master swordsman finds himself caught in a web of deceit and intrigue, is already posted. From my experience with Black Gate so far I am certain that we will have on hand another excellent online source for interesting speculative fiction. Anthologies are one of best ways for discovering new authors, but recently I find myself more and more attracted by the collections of stories signed by one writer. It is an even better method of feeling the power behind the writers’ talent, an extended source in identifying the author’s voice and finding new stories to enjoy. With this the driving thought and with an open mind I turned the first page of Carole Lanham’s debut collection, “The Whisper Jar”, and started reading. “Whisper Jar” – The inhabitants of High Cross start to keep their secrets stored in jars, but when an accident occurs in the Jar House the safe keeping of the secrets is shattered to pieces. Carole Lanham’s collection debuts with this dark poem with lighter tones, but setting the perfect mood for the stories that follow. However, the subject and the characters of the subsequent stories will change. For an even better result. “Next day she found her little boy, ashamed and blushing pink. She gave him one good spank and poured her jam into the sink. “I don’t know what you have done, but put your mouth right here. “The Good Part” – After a mysterious stranger have lived on the nearby field for a few days, Etta suffers changes that her brother, Gidion, cannot fully understand. But when the lives of the people Gidion loves are threatened by this change he has to make one very important choice. The main theme of “The Good Part” is only hinted, but Carole Lanham returns to the roots of this subject and gives back its dark side in an era dominated by misplaced romance. “Keepity Keep” – Alban and Gage Turnbull find Petaloo, a fairy who becomes their best friend, in the garden of their house. But when the boys grow older the competition for Petaloo’s attention sharpens. The reader is left in mourning for the childhood that Alban and Gage Turnbull leave behind. Every little step of the boys’ metamorphosis into adults is evoked in the pages of this story with the power of personal experience. “The Blue Word” – In the Salvation House orphans are raised and schooled until the age of 18 when in a graduation ceremony they are released from the institute. But the mystery surrounding the graduation process might not fit any of the students’ dreams. A post-apocalyptic setting in which the death of a dream can be the most terrifying side of the horror element. “Maxwell Treat’s Museum of Torture for Young Girls and Boys” – After Hayden’s parents are involved in a tragic accident he moves in the house of his cousins where the Treat brothers are putting together a museum dedicated to torture. Melancholic, frustrated and cheerful all together, the story holds the reader on the toes, always keeping things around the corner in such fashion that not even the smallest of glimpses or glances can be seen. “Friar Garden, Mister Samuel, and the Jilly Jally Butter Mints” – The sisters Estrella and Esme and Samuel, the son of the household employed nurse, escape the everyday reality with the help of the colorful Jilly Jally Butter Mints. Imagination is literally brought to life here and the toys and games are enhanced by magic. The misunderstandings can bring the tragic into play though and only the narrow minds of adults can give them power over magic. “The Reading Lessons” – Lucinda and Hadley are two friends, whose destinies are not meant to cross, with a love for forbidden books and readings. Lucinda, despite her caprices, is the gravitating point for Hadley and their usual play almost an addiction. And like any addiction no good can come out of it. “The Adventures of Velvet Honeybone, Girl Werewuff” – The second poem of the collection, this time untouched by the lighter tones of the first one, is a replay of the Little Red Riding Hood with the added touch of one particular mythological aspect and in the personal and excellent manner of Carole Lanham. “The Forgotten Orphan” – Barnabas, one of the orphans of the Asylum of Fatherless Children, discovers what is hidden behind the security door of the attic. Carole Lanham places the story for the grand finale of this mighty collection again in an orphanage. But this time, Asylum of Fatherless Children (I can’t imagine a more haunting name for an orphanage), is not the place of safety and refuge that Salvation House (“The Blue Word”) is. It is not easy to forget the characters of “The Forgotten Orphan”, no matter how much time they spend on the stage of the story. It is even harder to grasp the dimension reached by the secret hidden behind attic doors, secret more terrible than the monsters Barnabas and his friends imagine living behind those doors. Perhaps secrets might be kept in jars, primarily in whisper jars, but Carole Lanham knows to unscrew the lids of these holders of secrets and spill the contains on paper. Particularly those put on storage by children or adolescents, the main characters of all the stories from “The Whisper Jar”. Childhood always wakes the reader’s nostalgia and Carole Lanham masterfully brings this feeling to life. But every single time she challenges the common, pushes and twists the boundaries. Amusement shifts to tragedy, innocence turns into sexual innuendo, the magical, literally in places, time of play becomes a moment of cruelty, all with the spontaneity of which only the children are capable of. None of these transformations, however, are straightforward. Every little change is made with an admirable subtlety, not one of them offensive and all natural. Every time the unexpected is an important ingredient and a seasoning element of surprise. The same goes for the terror component, Carole Lanham does nothing for the sake of horror or shock, she doesn’t use blood and violence in an attempt to terrify her readers by all means. She makes the readers uncomfortable in a refined and intelligent manner and putting an attractive language to work in favor of her stories. With such qualities reflected from “The Whisper Jar”, Carole Lanham already announces herself as a prominent figure of the genre from her debut collection. As a matter of fact, the horror genre needs more such writers to raise it to its deserved and true value.